11½" x 5" x 14". Mounts with two holes on the back. The towel bar unscrews from one side to replace rolls of toilet paper. 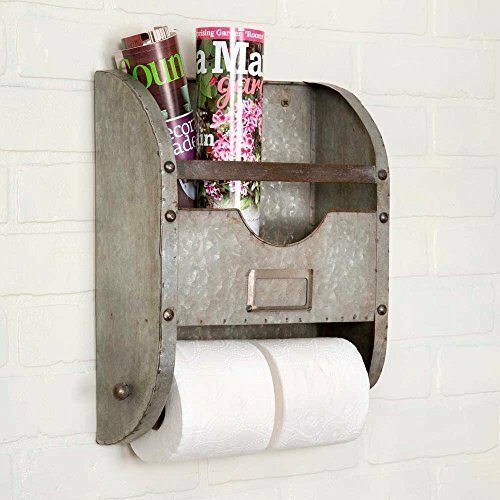 Use the bar for toilet paper or hang a hand towel.